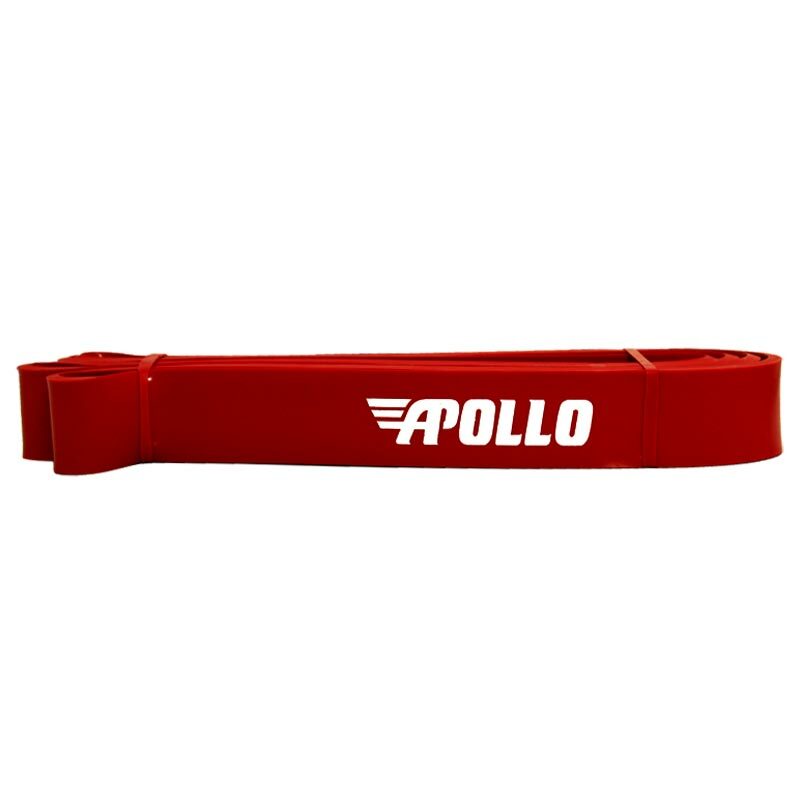 Apollo Power Bands 32mm adds such a wide variety of different specific benefits to your training programme, that you don't want to miss out on. The Power Band is a first class stretching tool, spotter when weight training, adding resistance to specific workouts and a rehab tool. Using Power Bands in your bench press exercise (attach 2 bands to the bench press and then at either end of the bar) the bands will be at the highest resistance when you reach lockout which will increase the resistance to the specific exercise. Power Bands can be a functional tool when developing technique, looping bands around the body for specific exercises, the bands will assist in the correct moment technique while adding a resistance ideal for rehabilitation. 32mm - Red- 25 - 62kg resistance. Width of band varies depending on the resistance.